A couple of months ago, I took my friend DeSean to Boston’s Youth Pride Parade. Pride was as new for him as it was for me, except he had an excuse; I didn’t—I am twenty-four; he is sixteen. I never really gave much attention to Pride. Even as someone who has never attended, I saw the festivities as a strange mix of debauchery and activism, of partying and self-reflection, and of acceptance of those who fit in and rejection of those unlucky to fall outside the stereotypes. 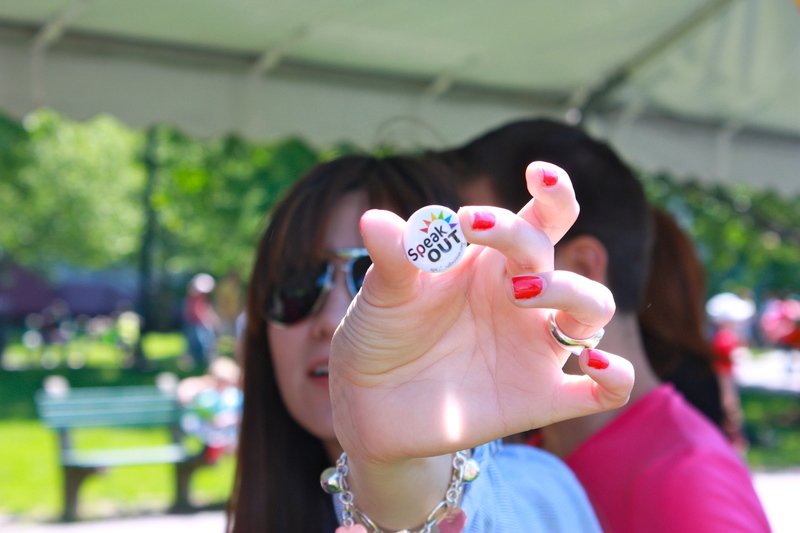 Judging from afar, Pride seemed to act as a misnomer—what were people proud of? How much they could drink? How few clothes they could wear? How much they could shake their bodies dancing to Madonna? Youth Pride in Boston seemed a bit different. As we entered the festive grounds, the five of us (my sister, her boyfriend, my best friend, DeSean, and I) were greeted by people eager to tell us about their services, organizations, and upcoming events. Present were religious institutions—from Christian to Buddhist—health care organizations, support groups, and even a man who lured us all into his delicious candy tent. People of all ages had the opportunity to enter a raffle for an i-Pad if they went through HIV testing. But as proud as I am of my community, I am also cognizant that many others despise the idea of ‘promoting the gay agenda.’ To them—some family members included—a Youth Pride is a way to turn more kids gay or lesbian and a way of spreading immorality and disease. I do not expect to change people’s views in this short posting, but I would like to ask that we consider that LGBTQ youth experience higher rates of depression, substance abuse, and suicide than does the general population. Supporting Youth Pride, therefore, is not about coming out in support of gay marriage or accepting the “homosexual lifestyle” (though it can be). Most importantly, youth pride is about being pro-community, of coming out in favor of support systems for a population traditionally marginalized; it’s about affirming to ourselves that in a sea of non-inclusiveness, we can find pockets of acceptance and love. I think we can all relate to these desires. Note: DeSean and Pierre are both part of the Hispanic Back Gay Coalition’s Mentorship Program. The original article appeared in the blog Turn It Up Boston. There are two forces, one force to keep human diversity by human natural, while another force to keep human to come together with common characters. Neither shall be the only force ruling the world.